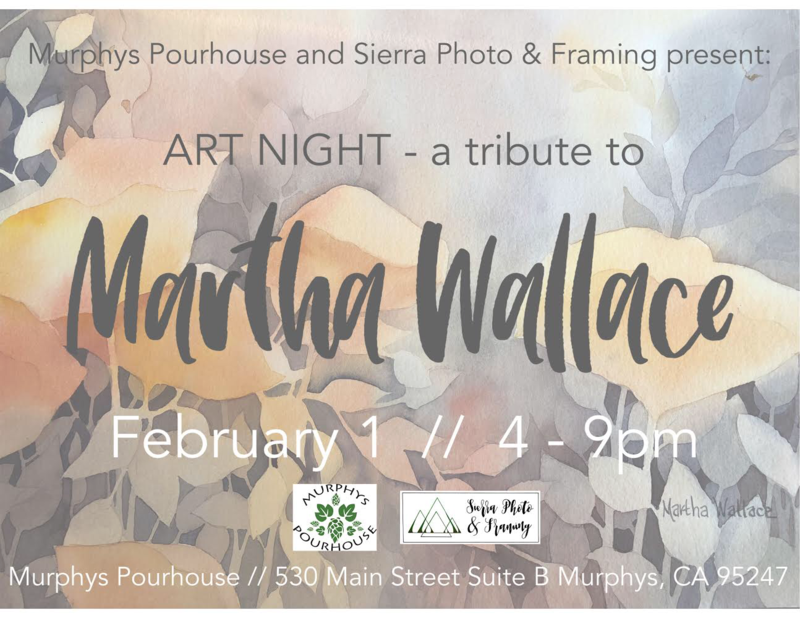 Join us this Friday, February 1st from 5-9 pm for a very special Art Night – A Tribute to Martha Wallace. The late beloved artist impacted so many of our lives within this community through her art and we are so elated to be able showcase some of her work here. Including, a brand new series of Giclees by Martha as well as displaying and selling some of her framed and unframed original watercolors. It is going to be wonderful evening honoring a very special women.